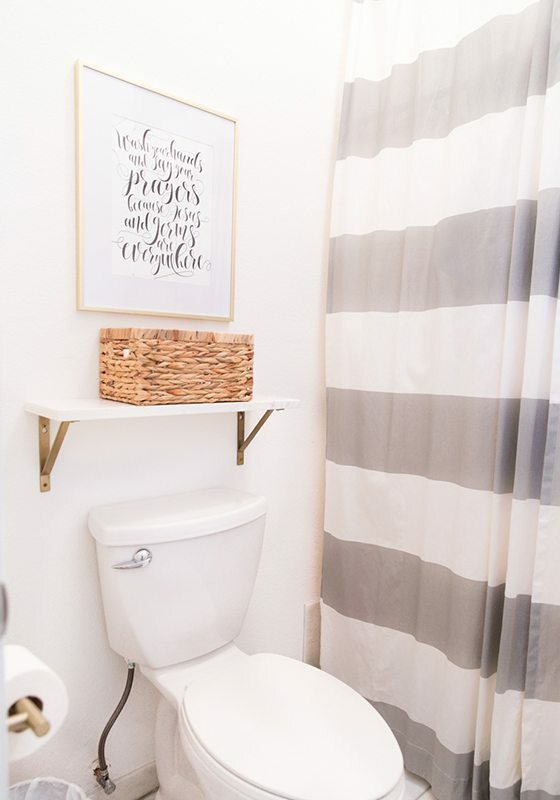 Bethany from ThePoshHome.Com posted a brilliant before and after blog all about the guest bathroom remodeling project and how it was done on a budget. 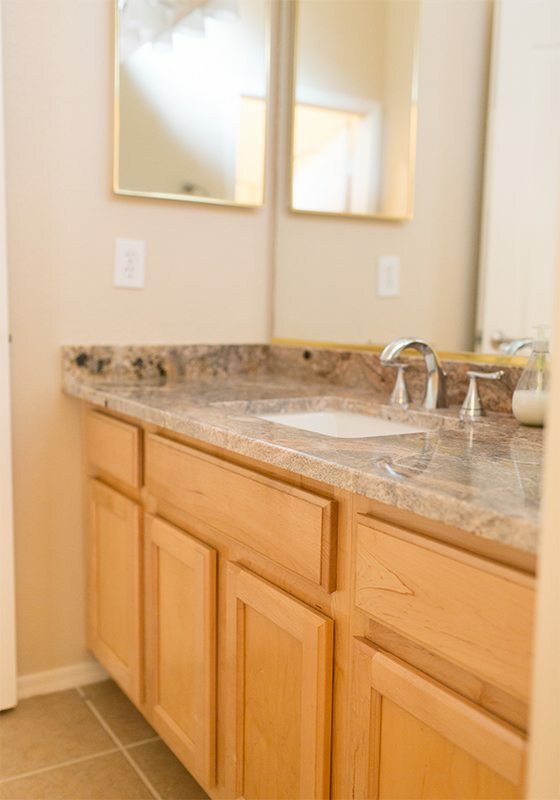 The before images posted at the bottom featured beige tile, beige cabinets, beige countertops and beige walls. 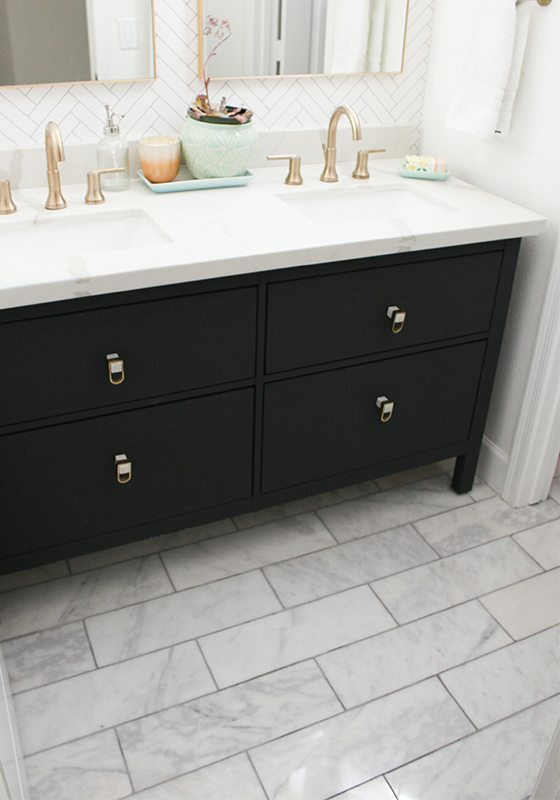 The after images illustrate a bathroom features hints of marble and charcoal blue as well as accents of brass. 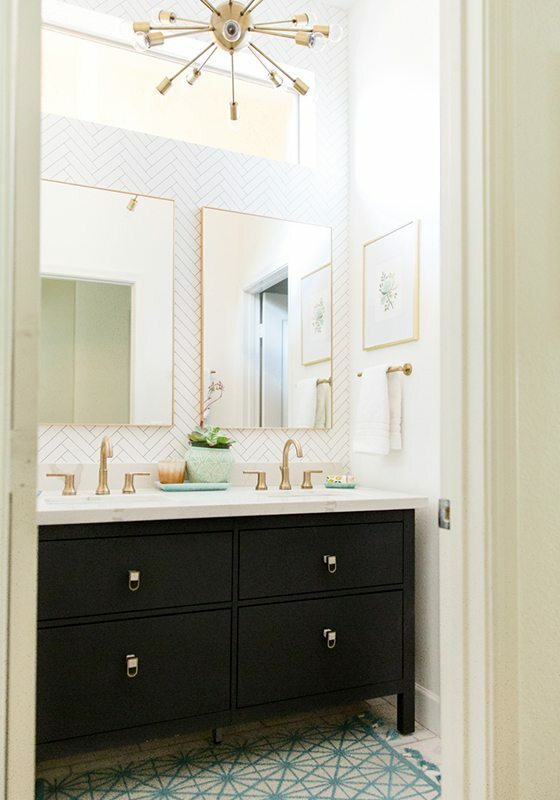 Bethany wanted to lighten up the walls with white paint, light marble floors, and go a little darker with the vanity. She went with Benjamin Moore Cheating Hearts paint for the vanity and Benjamin Moore Simply White for the walls. She loved the color combination and thought it really brightened the space. 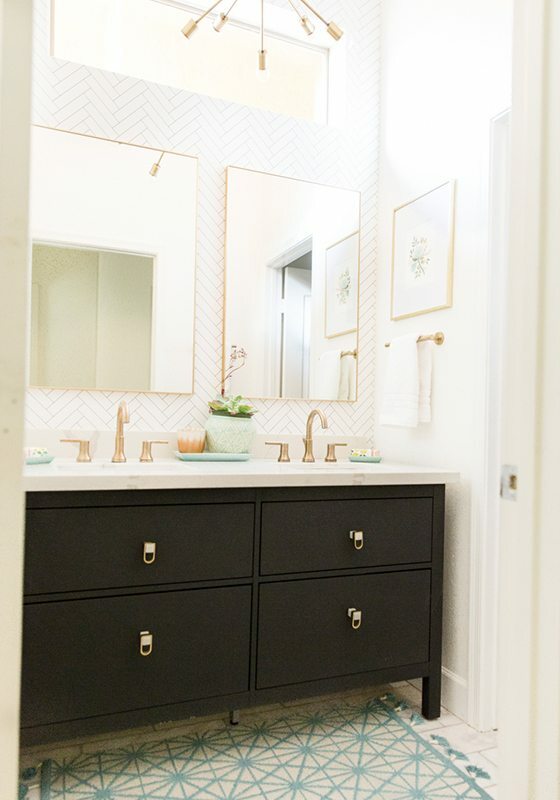 Benjamin Moore Advance Paint was used on the actual vanity, which is a special paint that works best with vanities. It’s highly recommended. Bethany fell in love with the marble floor from Floor & Decor. It contains beautiful veining and coloring. She decided to lay it in a brick-type pattern. 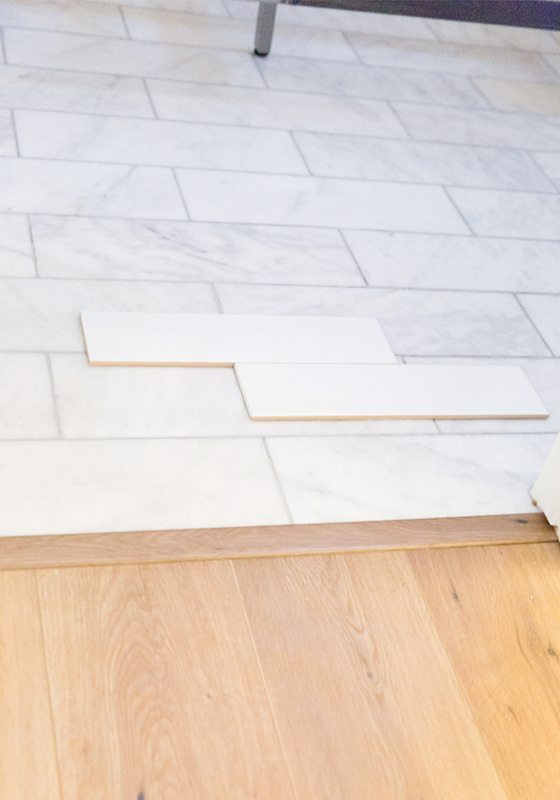 The size of the tile, called Sahara Carrara marble tile, fit perfectly in this space. 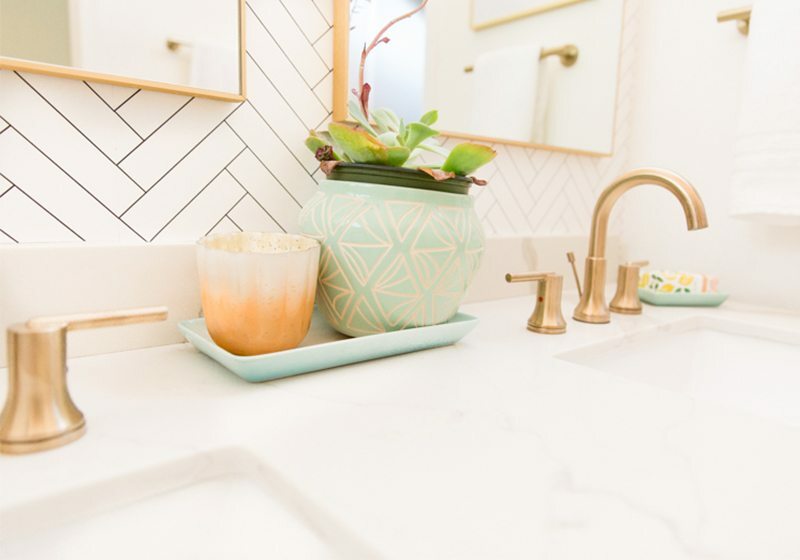 She chose a silver grout, which complimented the coloring. Floor & Decor has great people to help if you have questions and they offer free design services. They had great suggestions which grout to pick to match the tile. The prices were also great as well as the selection. Being on a budget it was the perfect choice while still giving us that expensive look. 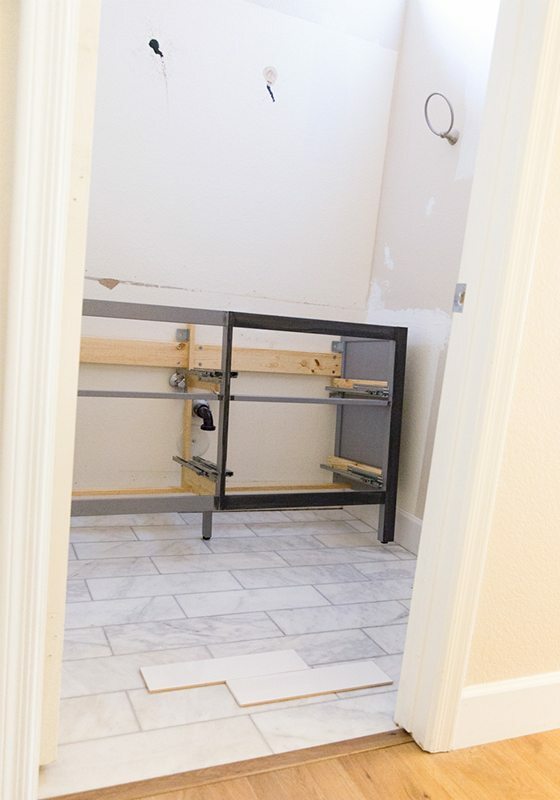 Here are images of the bathroom while it was in progress. Bethany really liked the look of the marble tile with Floor & Decor’s larger subway tile for the shower. 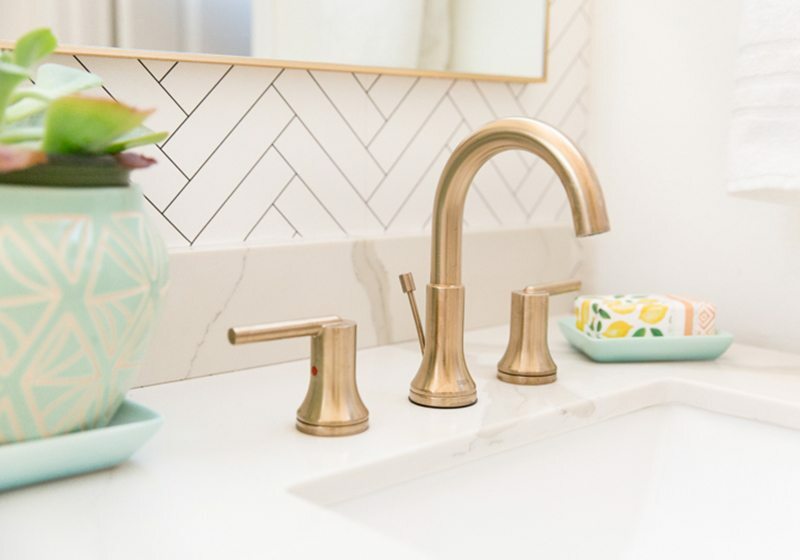 She decided to go with champagne brass sink faucets and a brass sputnik light. This vanity is from IKEA and was originally gray. She switched out the handles to give it a custom look. To add fun pops of color and accessories, she used these from Anthropologie. Quartz looked best for the countertops. Bethany added the brass and marble shelf for storage and the print is from The Crown Prints. What a difference these beautiful floors from Floor & Decor and updated paint does in the space! 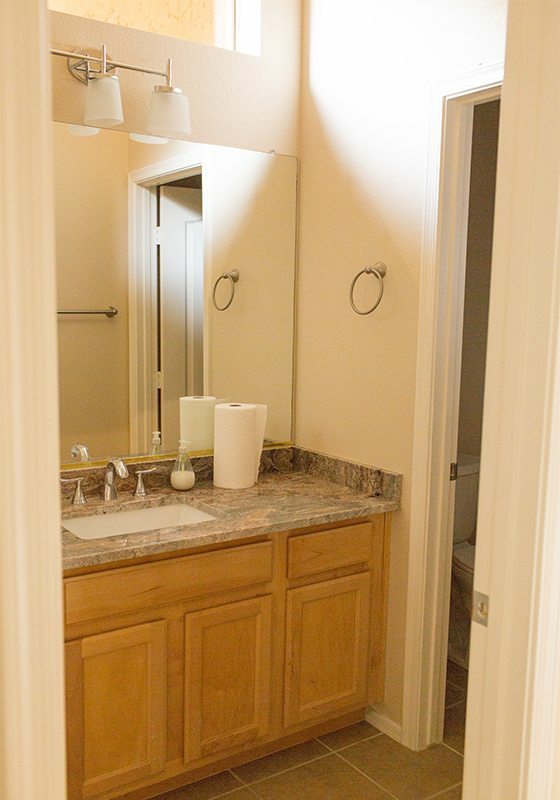 Here are some before images which illustrate the dramatic transformation of the guest bathroom remodel project.